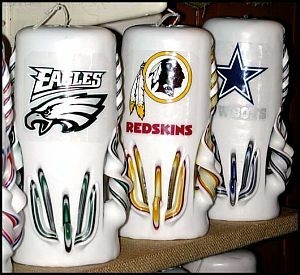 The Original Candle Man creates hand dipped, carved candles for your favorite NFL, NBA or NASCAR teams. These would make original gifts for sports fans and they could display them with the rest of their sports paraphernalia. They also have these hilarious “Deadhead” candles for Deadheads (fans of the Grateful Dead). 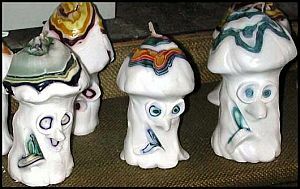 These candles are unique with their funky colored caps as well as their sideways tongues sticking out. If you want a more traditional carved candle, there are still plenty of those to choose from. They’re located in Ocean City, New Jersey, right on the beach at Boardwalk and 9th Street. Visit The Original Candle Man for more information on this talented candle company.